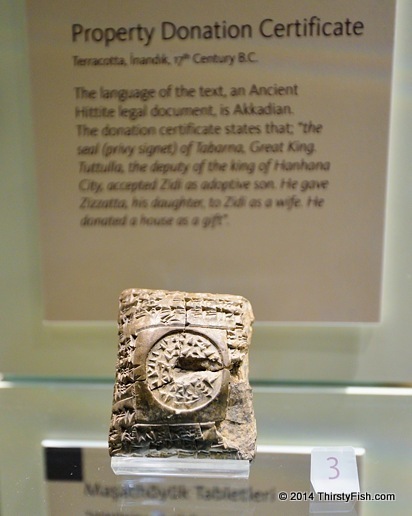 This 17th century BC Ancient Hittite Property Donation Certificate, written in Akkadian is actually more of a "gift certificate" than a "donation certificate". It states that King Tuttulla accepted Zidi as an adopted son, gave him his daughter as a wife, and donated a house as a gift. In its modern definition, philanthropy rarely ever works. The rich, most of whom have built their extraordinary wealth through cracks and loopholes in the system, choose what human causes to pursue and support, which charities to give to, while they themselves are often responsible for human suffering. The heirs of Walmart might consider themselves "philanthropic", but wouldn't it be nicer if they simply paid their workers a fair wage. Or, why is Bill Gates so eager to push Common Core standards while he, along with Silicon Valley's most celebrated CEOs conspired to drive down the wages of their engineers. First, "do evil", and then pretend to be "philanthropic"?